Thank you to all the juniors who were able to make the last trip of the season to the Blackpool Sportshall. Today saw our biggest group yet, and almost everyone achieved at least one PB. The u11 girls were once again spearheaded by Olivia Leigh, with two 1st placings and a 3rd. Izzy Thompson came first in the Javelin, whilst Isobel Farron also scored points for Chorley with a PB in the chest push. Excellent performances from Chloe Molyneux, Megan Ashworth, Lucy Goldthorp, Alayana Ahmed, Megan Leigh, Blythe Cordwell, and debutant Lucy Poole, saw the girls team finish 4th overall in the standings. 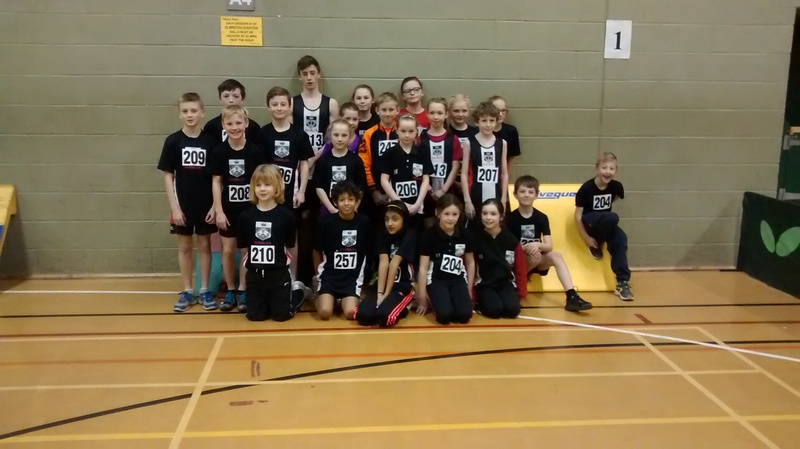 The u11 boys saw points scoring for debutant Daniel Lilley and Charlie McCracken, and Mathew Brown also scored well for a PB in the javelin. The boys were well supported by Jack Hughes, Joseph Chadwick, Jamie Rimmer, Thomas Ashworth, alongside debutants Louis Price and Joseph Mitchell. The boys consistent scoring and results led them to 3rd place overall in the series. A fantastic result. Ben Hughes ran in in his first meeting of the year to take athlete of the match for his age group, and inspired his team mates to some impressive results. Ben took away three 1st places and a second, whilst Martin Rimmer took second in the speed bounce with a PB, and Oliver Goldthorp scoring points in 2 events. A stunning relay race from the boys with the help of Daniel Lilley, gave them second place, and 4th overall in the standings. Congratulations to all the juniors who took part this year, and the coaches and parents who have supported the team over the last few meetings.